We have you covered in case you missed LATAM matchday 10. 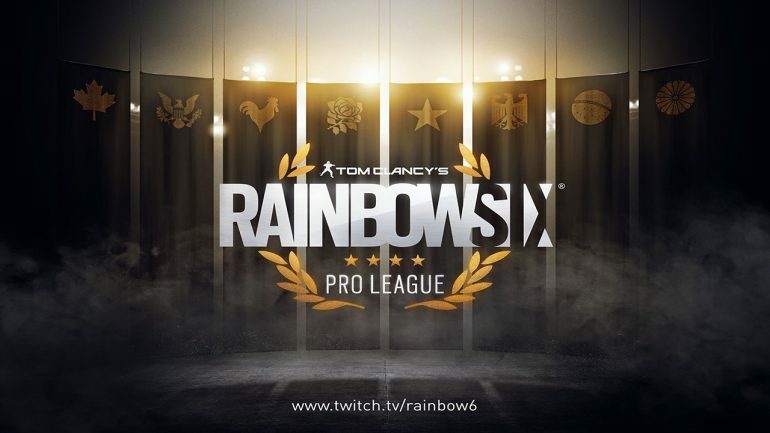 Perhaps the most notable encounter of matchday 10 in the LATAM division of Rainbow Six Pro League involved Immortals bouncing back from a 2-6 deficit in Ninjas in Pyjamas, which was truly a sight to behold. There was a clear slow-down in NiP’s gameplay, evident by the team struggling to regain control after losing their initial four-game lead. Immortals’ comeback resulted in a tie game at 6-6. Immortals maintain their reign at the top spot of LATAM, while NiP sit in an uncomfortable third in the division. The day saw a more give-and-take dynamic transpire on Club House with FaZe Clan and Team Liquid facing off against each other. FaZe ultimately came out on top, but Team Liquid gave them a solid run. The match concluded 7-5 in FaZe’s favor. Black Dragons also clashed with Pain Gaming on Bank. Black Dragons pulled a needed round six clutch while attacking Lockers, which prevented Pain Gaming from tying things up at 3-3. The denial of Pain Gaming’s attempt at tying up the match further fed Black Dragon’s momentum. Pain Gaming continued to fall apart resulting in 7-2 loss. Overall, there was an odd disconnect between players, which caused the match to play out in sloppy form. Neither team performed in an outstanding way, but Black Dragons managed to capitalize on winning their gunfights and throwing in some added pressure with rush plays. Pain Gaming now sits at the bottom of the LATAM standings, which almost certainly excludes the team from the playoffs. INTZ Esports ran up against Red Devils on Oregon to round out the day. Red Devils has fallen out of favor since a recent roster shake up that involved a player leaving the roster. Michael “KiXSTAr” Stockley pointed out that the roster shake-up may be attributed to a certain player’s mandatory military service. Red Devils struggled to find any kind of meaningful footing in the first six rounds. Parker “Interro” Mackay applauded Red Devils’ first round win, which was followed up by a another 3 wins. The second win for Red Devils involved Velvet throwing down a 3k while defending Dorms as Lesion. After an impressive four-round win streak, however, Red Devils faltered and INTZ was able to lock up the match with a 7-4 win over Red Devils. If you missed any of these matches today, you can tune-in via the official Rainbow Six Esports YouTube channel.